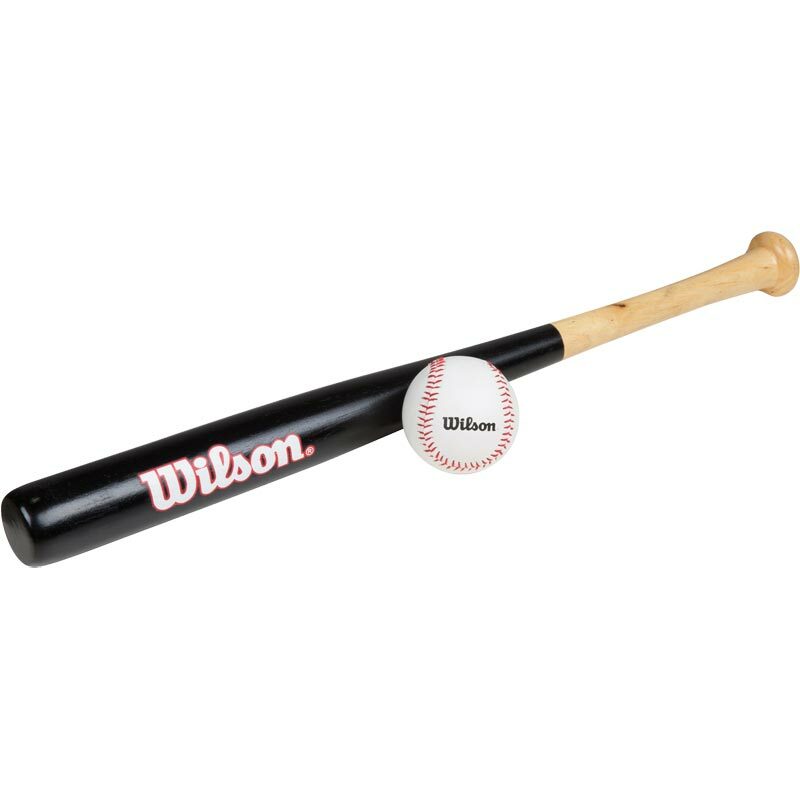 The Wilson ® Teeball Kit is ideal for children aged 4 - 8 years. 24" Baseball bat for ages 4 - 8 years. Wooden baseball bat, ideal for beginners in a lightweight design. White baseball with a durable rubber core.